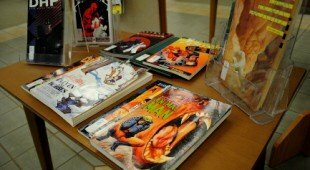 Are you a fan of comic books and graphic novels? Would you like to discuss this medium with other comic fans? Then join Budimir’s Adult Graphic Novel Club! Like a traditional book club, our members gather each month to discuss a chosen graphic novel, engaging in a lively discussion about the book. In previous sessions we have discussed such titles as Neil Gaiman’s Sandman and Seth’s It’s a Good Life, If You Don’t Weaken. If you are interested in the joining the club or would like more information about it, please contact Adam Peltier at 519-255-6770 ext. 3351. Any one 18 years of age and over can register.